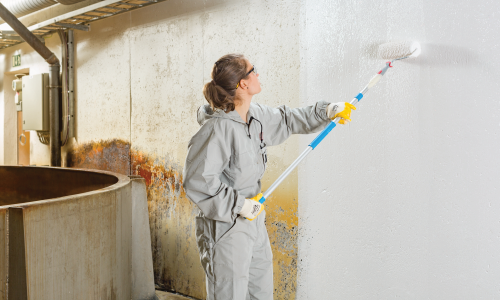 BioRid Mold Protection | Advanced Polymerics, Inc.
BioRid is a water-borne, functional coating that eliminates moisture and keeps the coating surface dry. Mold is prevented through the physical processes occurring in micro-pores. Specifically, the microporous matrix technology results in a more efficient evaporation process when compared to a flat surface. The paint film temporarily accumulates water during the condensation period, and when the surface temperature is above dew point, the accumulated moisture evaporates into the atmosphere. 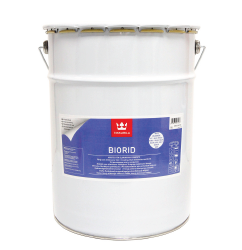 BioRid is especially suitable for new and previously painted surfaces in areas where protection of the paint film from mold contamination is required. Examples are public buildings, living spaces, sports facilities, locker rooms, bathrooms, basements/cellars, parking garages, breweries, food production facilities, warehouses and animal husbandry installations. Functional coatings perform in an predictable but sometimes surprising way, when compared to typical coatings. Quite often, functional products perform more than one function at a time. For example, they can be decorative as well as hydrophobic, colorful and self-cleaning, or combine anti-corrosive and anti-microbial properties.